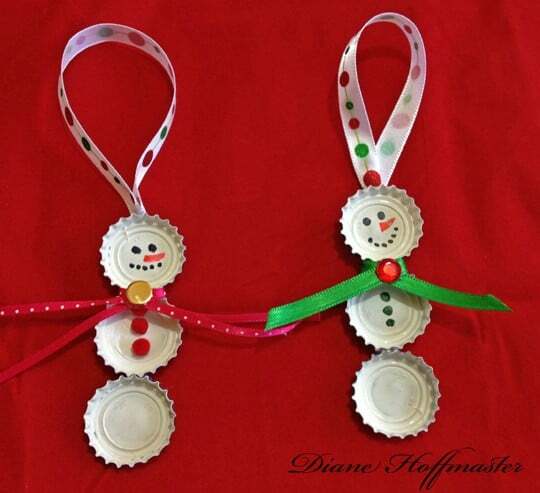 You are here: Home / DIY / Crafts / Try this Eco Friendly Christmas Craft: Bottle Cap Snowmen! I absolutely love the mishmash of Christmas ornaments that make up our tree every year and these bottle cap snowmen are the perfect addition! There are handprint Santas, popsicle stick snowflakes and an assortment of other creative homemade decorations. Absolutely nothing matches and there is no color scheme at all but the Christmas tree is a collection of memories that go back as far as my own childhood. Now that my kids are teens, they aren’t really into making crafty Christmas ornaments anymore but I decided to get out my glue gun this morning and try my hand at making an eco-friendly Christmas craft all by myself! Supplies: The only supplies you will need for these bottle cap snowmen are some bottle caps, a glue gun, ribbon, white paint, paint brush and some Sharpies or other fine point permanent marker. 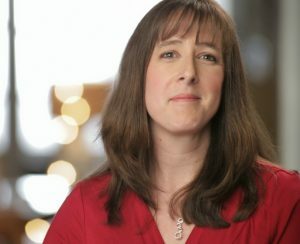 For accessories, you can use tiny pom poms, ribbon, yarn, gems or whatever you have hidden in your art closet. Directions: The first thing you need for this Christmas craft is a handful of used bottle caps. We save all of our bottle caps in a small box in the garage (why? I have no idea but we have a lot of them!). Twist off caps work best since the bottle opener can leave a bit of a dent in them but if you are careful when you remove it from the bottle you will barely see it. The next thing you need to do is paint your bottle caps white. Just do the inside since you will not see the back once it is hung on the tree. 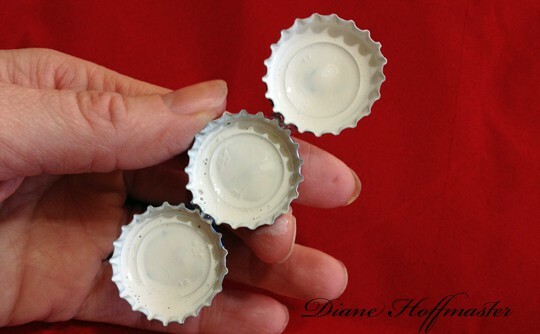 Paint the entire interior of the bottle cap including the sides and the very upper edges. Let dry. 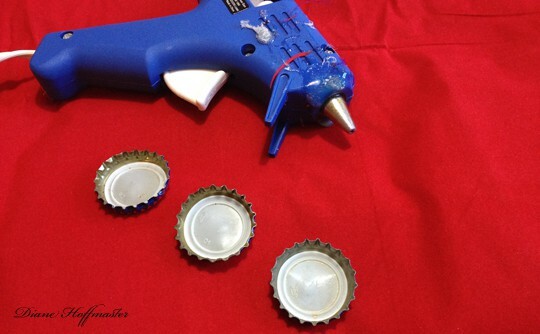 Once the bottle caps are dry use your glue gun to stick three of them together. Just use a small amount of glue, a little really goes a long way. When they are firmly glued together and the glue is cool put on your ribbon. Choose a pretty Christmas pattern and make sure the loop opens to the front so that it will hang properly on a tree branch. The only thing left to do not for this eco-friendly Christmas craft is to draw on your snowman face and a few buttons. You can even personalize it with a name and year if you want to give it to someone as a gift. Hang the ornament on the tree and be happy that you saved a few bottle caps from the trash can! Now, what am I going to do with the other 4 million bottle caps in my garage? I’m not sure I have enough time to make THAT many bottle cap snowmen! 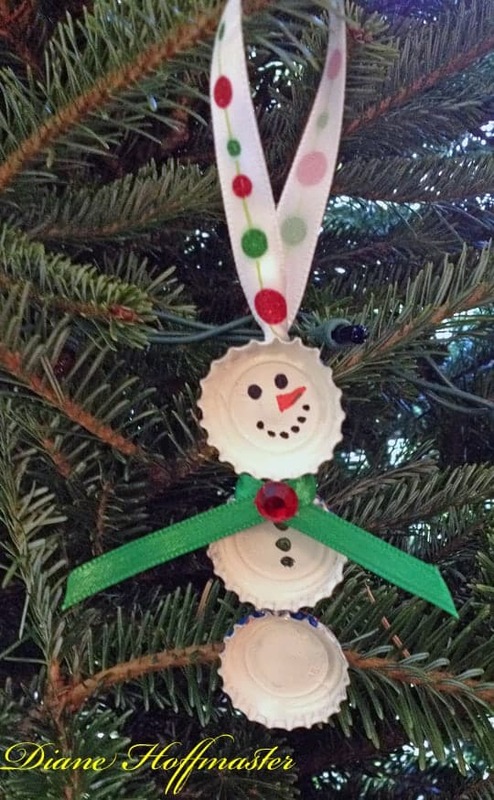 Have any other eco-friendly Christmas craft ideas that use bottle caps that you want to share? If you want more ways to go green check out my Greener Choices Pinterest Board! Like this post? 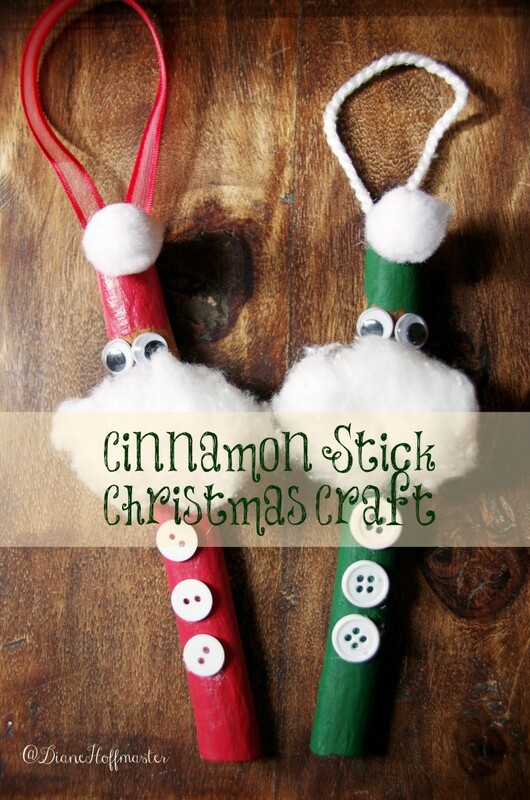 Here is another easy Christmas craft idea! This is such a cute idea! :-) I also have a map inside of a recycled bottle cap for a necklace that is my favorite. that sounds really nice! 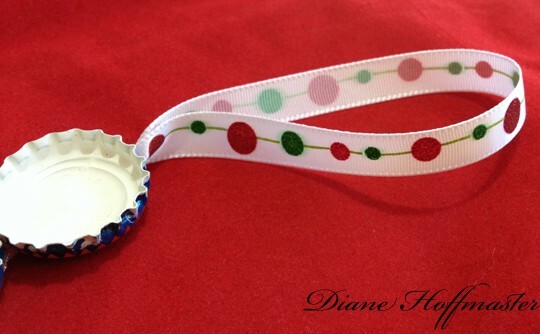 My daughter has some pretty bottlecap necklaces too!